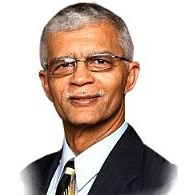 JACKSON – (AP) – Jackson City Councilman Chokwe Lumumba (SHOW-kway Lu-MOOM-bah) has defeated businessman Jonathan Lee in the Democratic primary runoff for Jackson mayor. Lumumba, an attorney and civil rights activist, was active in a black nationalist group decades ago. But he ran as a mainstream candidate who would represent all city voters. In the May 7 Democratic primary, Lee placed first, Lumumba was second and current Mayor Harvey Johnson Jr. finished third in a field of 11 candidates. Jackson is Mississippi’s largest city.